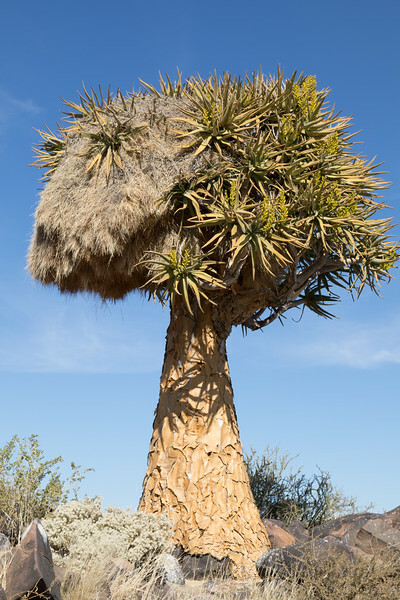 Not a tree, but a plant, Quiver trees grow on very arid and rocky terrain. They are hardly ever seen in groups. Flowering starts when 20-30 years old.